As soon as the camp had finished we dismantled all the camp structures and equipment and placed them into temporary storage in one of the farm’s cowsheds. 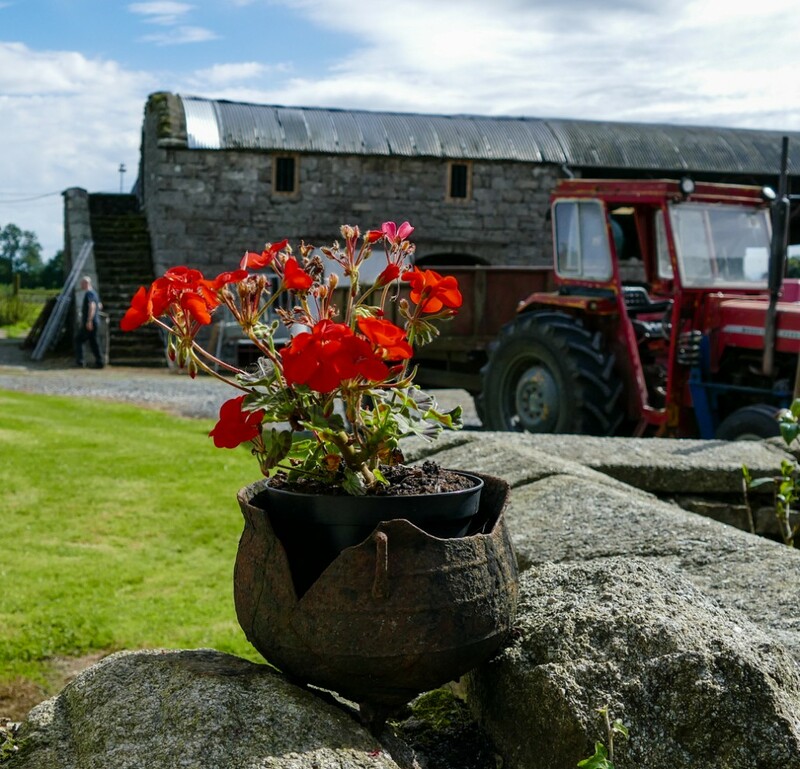 We were delighted when our good friend Peter who owns the farm generously offered us the permanent use of the upper storey of one of the old stone buildings in the farm courtyard so that we could store all of our equipment. All we needed to do was make it weather and pigeon proof for next year and the ones to follow. 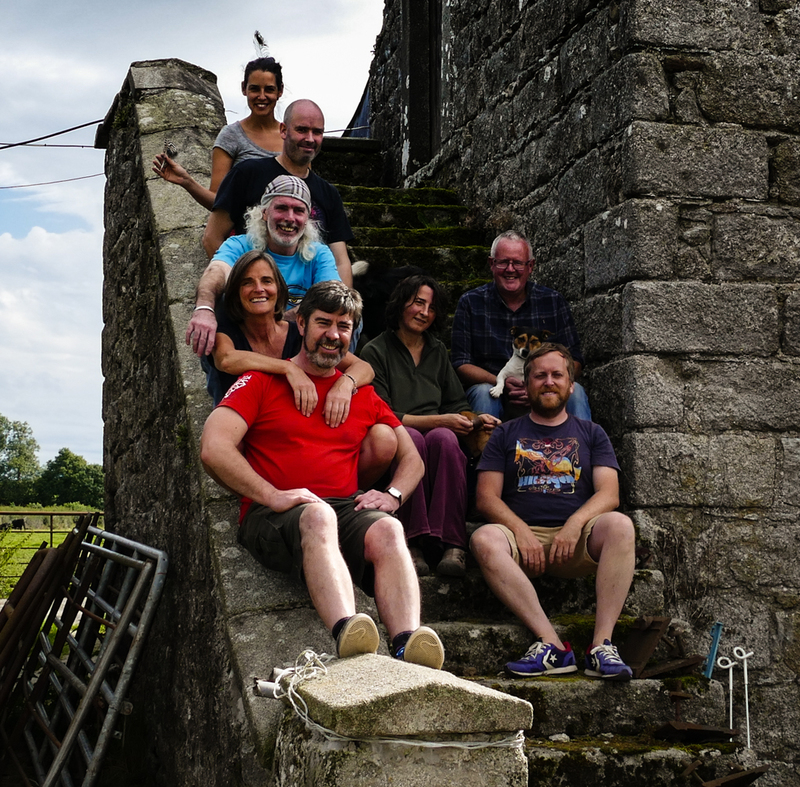 A new floor and two new windows would be needed, so at the end of August the organising group returned to the farm to carry out the work. We met on the Saturday and set about with the conversion. 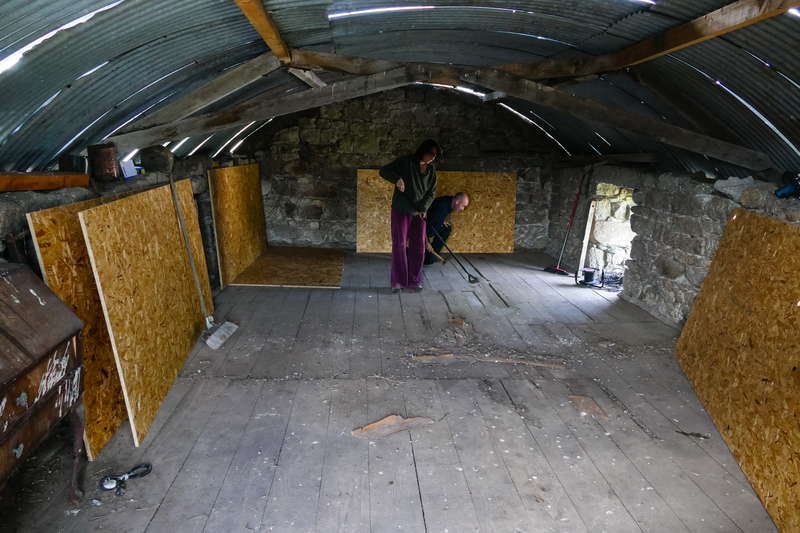 The roof was fully secured, and after clearing and cleaning the space, a plywood floor was laid down and screwed to the existing timber planks, which made it plenty strong enough to take the weight of all the camp gear. When it came to the windows it was apparent that none of the existing wood was salvageable so everything was removed back to the original stone surrounds. It was decided that traditional compression jointed wooden frames would be constructed. To do this the lower piece of the frame, the sill, is fitted first and the top piece of the frame, the head, is then held in place by hand. The vertical pieces of the frame, the jambs, are then cut longer than the height in which they are to fit, and one side at a time they were hammered into place using a series of very heavy blows. This caused the wood to shorten and just as planned the frame eventually became perfectly true, the structure now being held in place by the tension between the stone and timber, making them good for at least a century or so. Inner frames were then made from chicken wire and tapped into place, proofing the barn against sheltering pigeons. 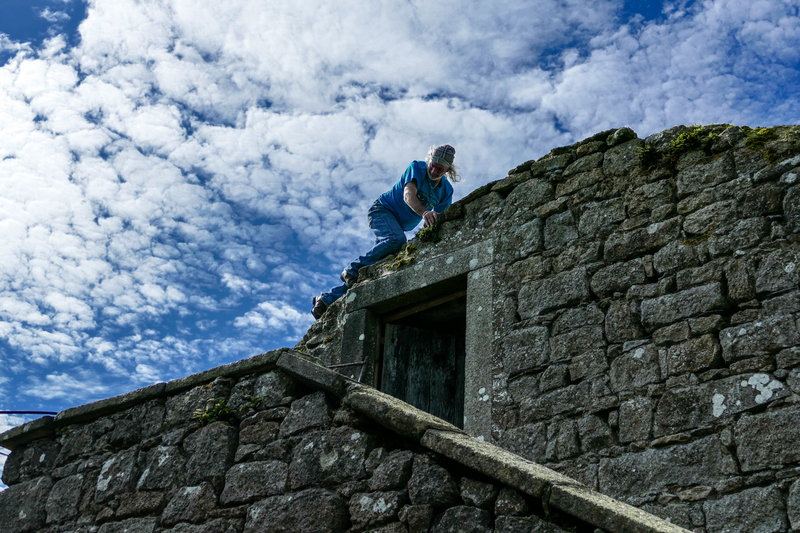 All the camp equipment was then steadily carried up the old stone stairs and laid to rest until June 2017 when the camp build will once again begin.